Increments the playcount by +1 on the selected tracks. Please note, if the option to "Sync Play Counts with Last.FM" is enabled, the incremented values can be replaced (reduced) in the next restart of MusicBee. 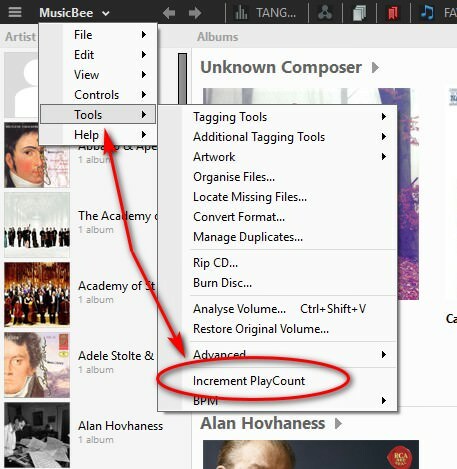 A simple add-on for MusicBee to increment the PlayCount of the selected tracks. Please share with me any suggestions you might have on how to overcome this issue in the plugin.